For its 75th anniversary this year, Jeep handed its customers the keys and let them drive the brand message. Bringing its "We don't make Jeep, you do" mantra to life, the iconic nameplate shared anecdotes from more than 20,000 enthusiasts across a dedicated microsite and social platforms. Among #MyJeepStory contributors: veterans who had driven Jeeps during their military service; owners who had taken the vehicles on the rugged trails of Moab, Utah; and a millennial woman who loaded her "pack" of rescue animals—dogs, cats and ducks—into a Renegade for wilderness excursions. "Giving owners and fans the opportunity to tell their own story adds an emotional lens that ties them directly to the brand," says Olivier François, CMO at Jeep parent Fiat Chrysler. "They feel that sense of adventure. They feel a sense of freedom. They know that this brand has been around for 75 years, and that gives it a purity and a unique proposition in the marketplace that others simply don't possess." 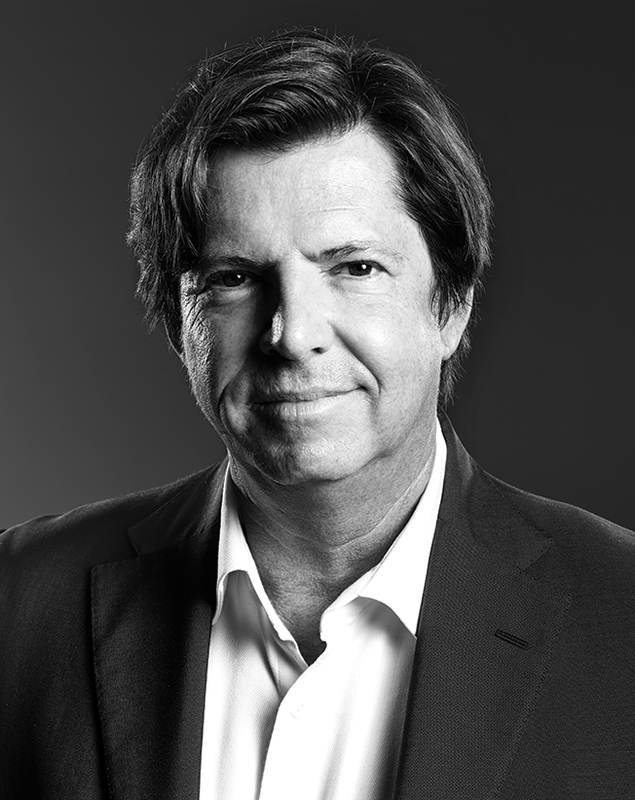 Jeep's performance in its birthday year proves that François, named Adweek's Grand Brand Genius in 2012 for his turnaround efforts on Chrysler, hasn't lost his touch. By deftly focusing on the faithful while celebrating Jeep's pedigree and gazing into its future, the veteran marketer engineered some of the most memorable and effective automotive advertising of 2016—including a pair of spots that aired during Super Bowl 50. "It's one story, two chapters," explains François. "One concludes on where we are now. The other says where we're going to go." Weeks before the Feb. 7 Super Bowl, Iris Worldwide presented a rough version of "Portraits" to François at Jeep's Auburn Hills, Mich., headquarters. This was not your typical Big Game commercial with glitzy production and a booming soundtrack. Rather, the quiet, minute-long film presented shots of celebrities and average people with a connection to Jeep. The monochrome montage was presented in a vertical format designed to capture and hold viewers' attention. This unorthodox ad told "the most wild, crazy tale—a truly unique, cultural story of the places Jeep's been and the things it's seen," says Iris global executive creative director Sean Reynolds. François says he knew he had to put "Portraits" in the Big Game. "Don't change anything," he told the Iris team. Indeed, the spot ran largely as pitched, following the halftime show. It became one of the most talked about ads of the game. Jeep's other spot for SB50 ran in the fourth quarter and explored new territories. "If 'Portraits' is a picture book, '4x4ever' is a motion picture with custom lyrics and a music soundtrack written specifically for the millennial generation," says François. Morgan Dorr of Boys Like Girls performed the spirited, punk-pop anthem in the ad, which was the most Shazamed spot of SB50, with 40,000 searches. Created by DDB Chicago, with quick-cut imagery celebrating the limitless promise of the open road, the spot fused with "Portraits" to assert Jeep's heritage and position the brand for times to come. Says auto analyst George Peterson: "Jeep was created to win a war, and it helped immensely. Fast-forward, and you have the freedom to live the active lifestyle." That focus on past and future has sparked impressive results in the here and now. So far this year, Jeep sales are up 14 percent in the U.S. and 18 percent worldwide, continuing a potent brand renaissance. Ultimately, François attributes Jeep's success to leveraging "the truth that the rightful ownership of the brand resides within the worldwide community of fans, followers and drivers. That's what we have inherited. What we own now is the future of the brand, the responsibility to define how we propel the brand forward." Check out all of Adweek's 2016 Brand Genius winners. This story first appeared in the October 24, 2016 issue of Adweek magazine.